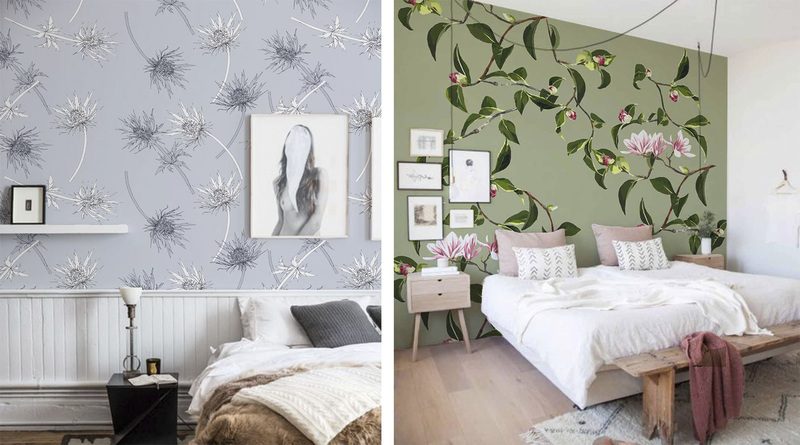 In the second week, we look at designers who have produced different interpretations of floral designs, from bright digital designs to softly painted prints. My inspiration for my project started from looking at Japanese flower arranging (ikebana) and looking at the flowers that are traditionally used in their arrangements and using this to produce bold and dramatic collection of ‘Japanese Bloom’ designs. 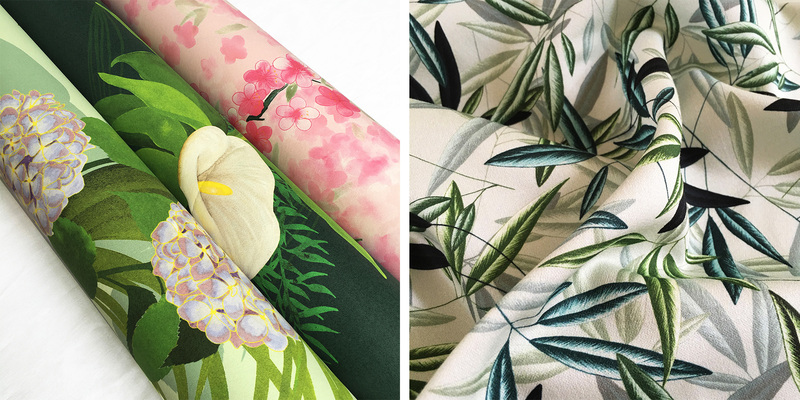 My final major project was also about my personal development in illustrative skills and digital work, combining all this to produce commercially viable designs for interior fabrics and wallpapers. Jessica’s skills include hand drawing and painting techniques using a wide range of media and screen/ open screen printing using a range of processes. I’m taking every opportunity given to me following new designers. I have a particular passion for trends, styling and print design. My latest collection ‘The Digitally Surreal’ was inspired by my research into digital processes which led to the development of my own unique digital drawing techniques. 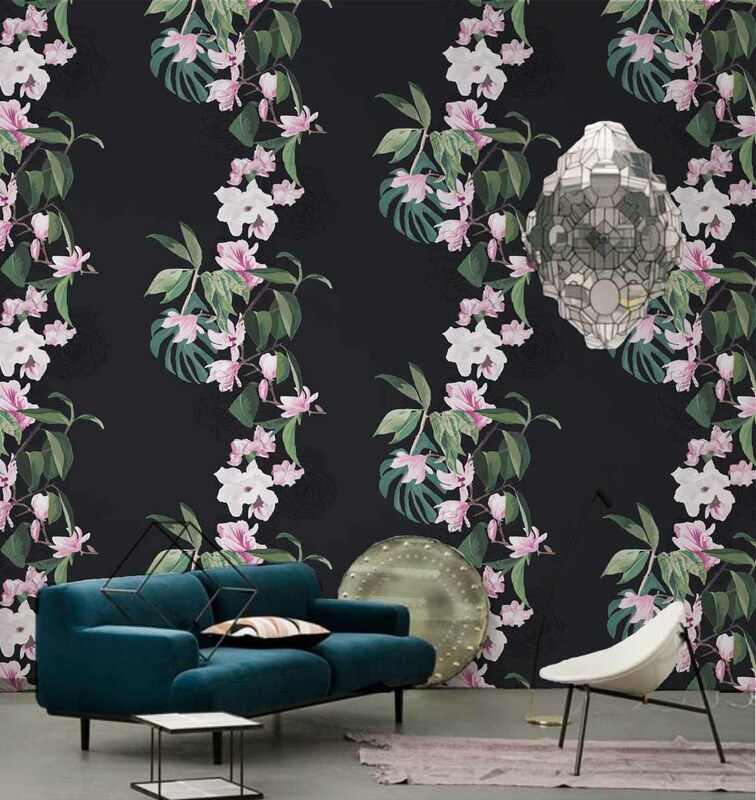 My collection celebrates everything digital, combining intricate digitally drawn florals and digitised textures to create vibrant prints with a surreal aesthetic. Fashion has always been a great inspiration for my work. 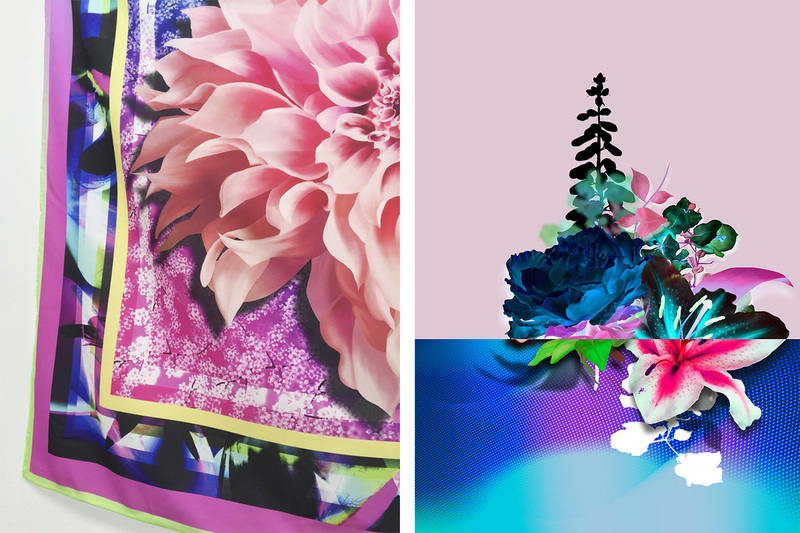 Therefore I would love to be able to work with a well established brand to create beautiful prints. Being able to see my designs in a store is certainly an aspiration. I am inspired by seasonal flowers I find. Always researching and working to current trends. I work with contrast, for example the palm house at Kew Gardens intertwined with British garden flowers. I would like to join a design team creating unique prints for textiles to gain experience in the textile industry. 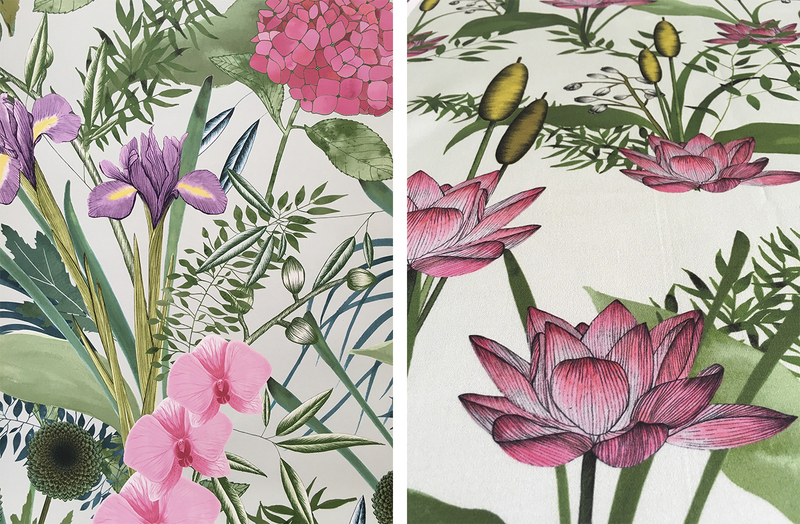 After researching into traditional floral designs, such as William Morris and Liberty, I decided I wanted to focus on ‘modern’ florals. Using my self-taught Photoshop skills, I created print designs which were inspired by a visit to the Eden project in Cornwall. 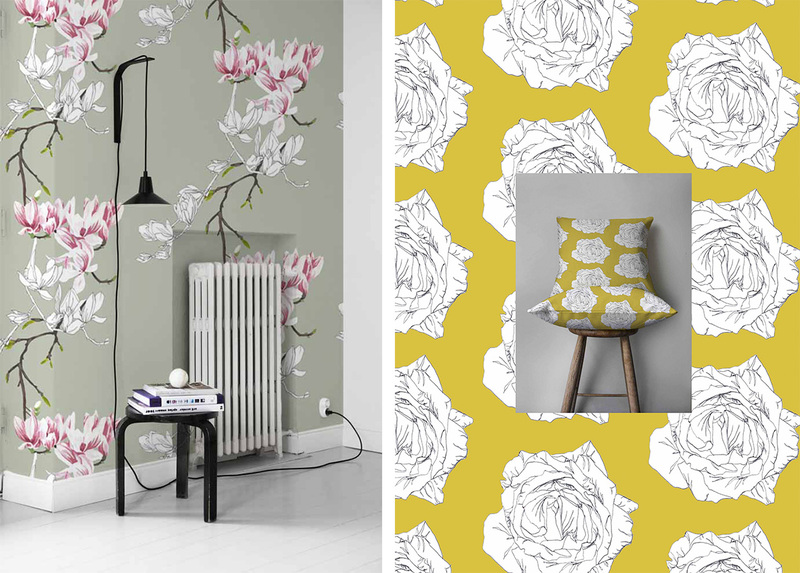 This contemporary collection explores the exciting results of transforming and manipulating colour and pattern. A big influence for me is Peter Pilotto and also Mary Katrantzou and Basso & Brooke. 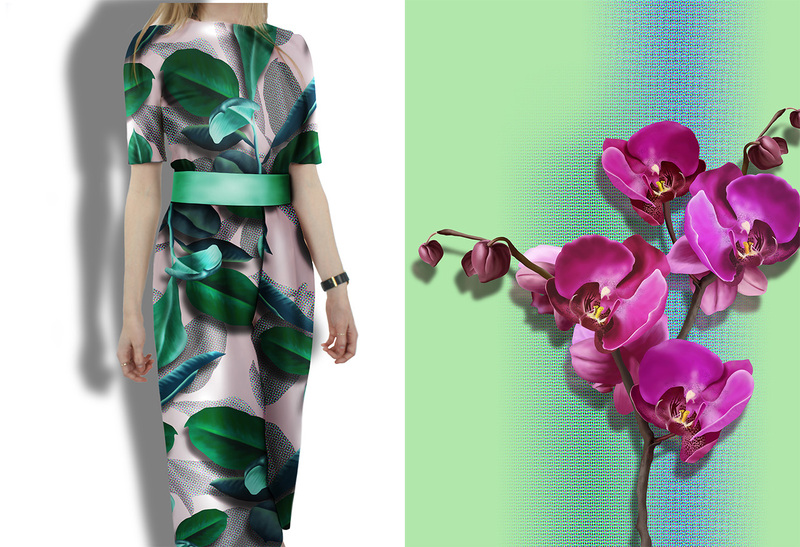 I have been inspired by their clashing colours and patterns with a vibrant fresh colour palette. 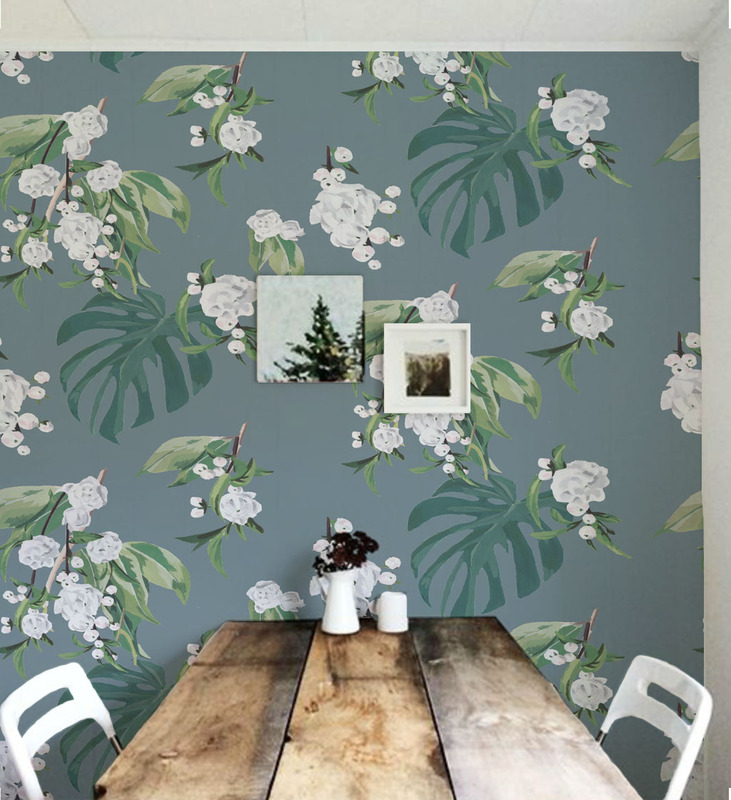 I have created a range of floral prints that can be applied to a wide range of surfaces. I will be moving to MMU in September to study a Textiles and Surface Design degree. My future plans are to work as a designer within the textiles industry and I am open to where the next few years might take me.